They mentioned that features like the highly requested custom app icon size, desktop grid, and dark mode will be added to the POCO launcher. The update will roll out next week on Play Store. The company also said that issues with Asphalt 8 and 9 compatibility will soon be fixed, too, as the company had a meeting with Gameloft to address the matter. PUBG’s notch-covering issue will also be resolved soon and the Android Auto team is working to optimize the platform for POCO F1. All of these issues have been reported in the last week and you can see that Xiaomi is working quickly to fix them. One issue that has been present since release is the absence of Widevine L1 support on the POCO F1. This means that the POCO F1 can’t stream HD content in Netflix, Amazon Video, and other video streaming services that rely on Widevine for DRM. Xiaomi stated that they’re working with Google and Qualcomm to fix the issue and will roll out a beta update in Q4 of 2018. We previously mentioned that enabling Widevine L1 support on this particular device via an OTA update was most likely not possible because the device lacks the device-unique secret key in the TrustZone which can only be flashed via a trusted machine in the factory. We’ve spoken to a source who claims that changes in Android Pie make it possible to enable Widevine L1 support via an OTA update, but we can’t verify this claim nor how it would work. Another issue people were having is a lack of app icons in the status bar—this has also been fixed in the upcoming MIUI 10 update. A feature which will let you allow unoptimized apps to use full-screen display is also in the works. “OK Google” support and battery percentage indicator have been added in the MIUI 10 Global Beta ROM 8.9.13, so this will definitely be pushed to the stable version of MIUI 10 Global. Some users have previously reported that the POCO F1 had touch delay and wrong input problems while fast-typing on a virtual keyboard. Xiaomi reported that developers are analyzing and fixing the issue. You should already feel an improvement in the beta version mentioned above. Another interesting piece of information is the camera improvements that Xiaomi shared. They stated that their development team is working to enable [email protected] video recording on the rear camera. This is something that the Google Pixel 3 and Google Pixel 3 XL lack even though the devices share the same Qualcomm Snapdragon 845 SoC and Sony IMX363 camera sensor. Now let’s talk about the MIUI 10 update. As we already mentioned, the POCO F1 was released with MIUI 9.6 Global Stable. The MIUI 10 Global Beta ROM has been available for quite some time now. Now, Xiaomi confirmed that the MIUI 10 Global Stable will be available next week. To refresh your memory, MIUI 10 Global was announced back in June. It offers various system optimizations to improve the overall user experience. MIUI 10 includes features like full-screen gestures, AI portrait mode, nature-inspired sounds and effects, and a redesign of a big part of the system UI. 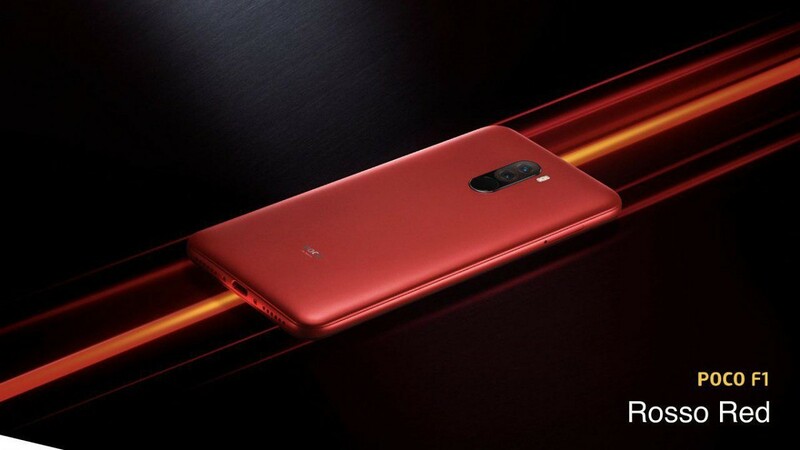 All of that will be available for the Xiaomi POCO F1 starting next week. We rarely see a smartphone manufacturer as transparent with their users as POCO is right now. Essential and OnePlus are other examples of really transparent OEMs. While some of you may not like MIUI 10, you have to admit that Xiaomi is trying to do their best to improve the user experience. Xiaomi took user feedback from both the beta channel and official forums to analyze each issue and work hard with their partners to fix them. This is something that we, as a developer-oriented website, absolutely respect. We wish that more companies would have a transparent relationship with their user base, especially the beta testers and developer community.